Wash your hands! The parental command echoes in my memory. It is also the public health message we hear most often when the subject is preventing the spread of infectious illness. Hand washing may be one of the easiest things we can do to ward off sickness, but the casual observer in any public restroom can attest to the slap-dash ritual practiced by many. Running water over the hands for a few seconds may be better than nothing, but consciously washing hands correctly is a learned behavior that can pay dividends. The simple fact is that washing hands removes germs that can make you and others sick. Human hands, which perform countless useful activities, are also the prime vehicles for moving germs from person to person. As the Centers for Disease Control and Prevention (CDC) website notes, people can infect themselves by touching their eyes, nose and mouth. Germ-laden hands can make others sick when they prepare food or drinks. And frequently touched surfaces, such as hand rails and publicly used electronic touch pads, are essentially “drop-off” and “pick-up” points for the germ du jour. At a recent public health conference I attended, a presenter guided the audience through a lively “dry run” handwashing exercise from their seats in the auditorium. Shortly afterwards, during a scheduled break in the agenda, the restrooms filled with people who had been through the exercise. It was obvious that attendees at the sinks were self-consciously attempting to replicate the handwashing steps properly. No one wanted to be that slap-dash hand washer, and a few commented that they were trying hard to get it right. I like to think that those conference attendees are now modeling great handwashing for others, spreading a good habit, and-most importantly-not spreading germs! You might want to try it yourself and teach it to your children to instill good habits early. Barbara M. Soule, R.N. MPA, CIC, FSHEA, FAPIC is an Infection Preventionist and a member of the Water Quality & Health Council. 1 Ejemot RI, Ehiri JE, Meremikwu MM, Critchley JA. Hand washing for preventing diarrhoea. Cochrane Database Syst Rev. 2008;1:CD004265. 2 Aiello AE, Coulborn RM, Perez V, Larson EL. Effect of hand hygiene on infectious disease risk in the community setting: a meta-analysis.Am J Public Health. 2008;98(8):1372-81. 3 Huang DB, Zhou J. 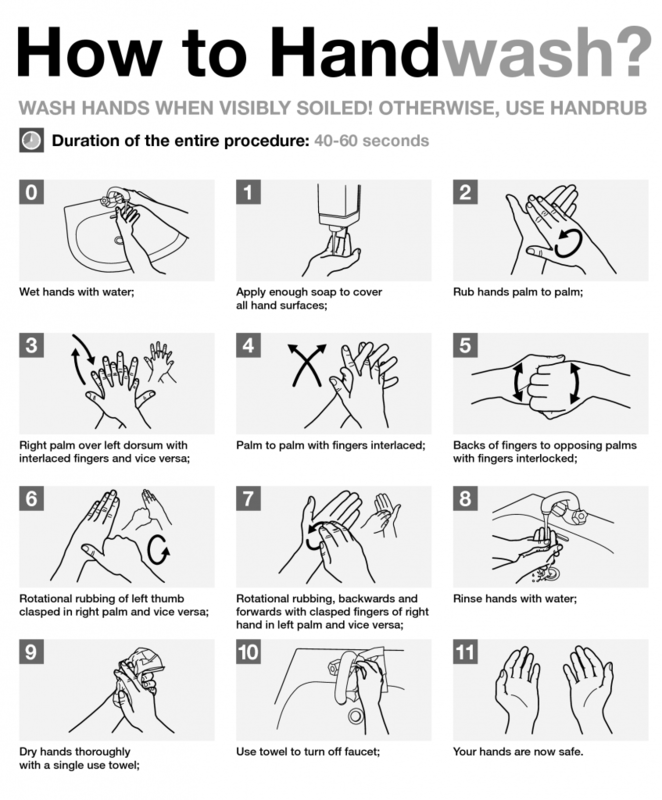 Effect of intensive handwashing in the prevention of diarrhoeal illness among patients with AIDS: a randomized controlled study. J Med Microbiol. 2007;56(5):659-63. 4 Rabie T and Curtis V. Handwashing and risk of respiratory infections: a quantitative systematic review.Trop Med Int Health. 2006 Mar;11(3):258-67.